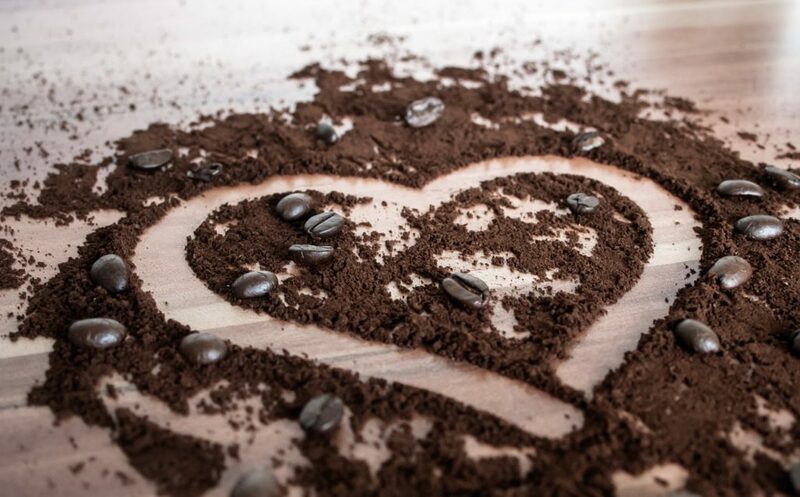 Published March 10, 2018 by Jovana R.
How to make coffee scrub – a product that made so many women ditch commercial scrubs because… well, that’s how good it is! The spring is almost here. Just the right time to start getting rid of flakes, dry skin and dull complexions. And with DIY coffee scrubs, it is so easy to scrub off all the mess that winter has left on your skin and say hello to the fresh, young skin underneath. Exfoliating your skin with a DIY coffee scrub boosts your energy in the morning, improves the circulation and rejuvenates your skin. You can feel throughout the day how soft, smooth and renewed your skin is, looking healthy and glowing under your favorite spring dresses. Ever wondered how to make coffee scrub at home? You can find down below 4 best recipes that can cover all your skin’s needs. But first, let’s see why DIY coffee scrubs are so good for your skin. Coffee contains a huge amount of antioxidants. This helps your skin to get rid of harmful matters and free radicals, and protects it from negative environmental influences. Antioxidants are also in charge of preventing aging signs. They can significantly slow down the ageing process, rejuvenate your skin and improve its elasticity. Coffee suits any skin type. It nurtures the skin and regenerates it. DIY coffee scrub has a perfect balance of harshness and gentleness. Coffee grounds are sharp enough to remove anything that shouldn’t be on your skin, yet the scrub is mild so it won’t damage the skin. Regular usage of DIY coffee scrub will unclog and clean your pores and stimulate microcirculation, which will make your skin smooth and glowing. Improved circulation is one of the main reasons why coffee is so good when it comes to dealing with cellulite, especially combined with the fact that coffee is a natural diuretic. The diuretic properties are also the reason why caffeine is great in treating puffy eyes, so no wonder it’s included in so many eye creams and serums. Caffeine tightens your skin and makes it soft, smooth and supple. This DIY coffee scrub regenerates your face and gives it that healthy, youthful glow. Plus, it doesn’t take long for the results to show. It is so cheap, yet every time you use it, you can feel you‘ve done something really special for your face. Sugar has amazing anti-aging properties. It moisturizes the skin and increases the collagen production. White sugar is way too harsh for face scrubs, but in this combination, wet coffee grounds partially dissolve sugar crystals. Olive oil is very nurturing and healing and it might suit you better than any other oil. But if you want, you can replace it with jojoba, almond, coconut or any other natural oil. Let the coffee grounds dry a bit, but not completely. Add the sugar and mix. Then add the olive oil and honey and mix all well together. Apply the scrub to a clean face. Gently rub and massage your face for a couple of minutes. Rinse off using lukewarm water and a mild cleanser. Proceed with your usual routine, which ideally includes a facial toner and some quality night cream. Even if your hands are not normally dry, they probably get dry every now and then due to a) cold weather and dry air and b) everything you put them through. Since you can and should use this DIY coffee scrub every day, you need something super fast and easy to use, and that’s what this scrub definitely is. It is the simplest solution, yet perfectly capable to deeply nurture dry hands. How to make coffee scrub for your hands? All you have to do is mix 1 teaspoon of coffee grounds and just a little bit of sweet almond oil. Rub your hands with the mixture, especially your palms. Be very gentle with the back of your hands, since the skin in this area is very thin and sensitive. Then rinse it off and wash your hands with a glycerin soap. Coat your hands in a moisturizing hand cream. This amazing DIY coffee scrub smells like lazy mornings and stretching in bed. For many girls, that would be a reason enough to use this scrub on a regular basis. It does, however, have many other benefits as well. Coffee has strong anti-aging properties. It regenerates and detoxifies the skin, improves the circulation and metabolism and fights against free radicals. White sugar exfoliates the skin, while at the same time nurtures it and increases collagen production. Both coconut and hazelnut oil are soothing and nourishing. Use coconut oil if you like your scrub to be a little firmer. Vanilla essential oil is here mostly for its scent. You can replace it with your favorite essential oil, a scent that relaxes you and puts you in a good mood. Take some time for yourself and use this scrub to treat your spirit as well as your skin. Put the coffee grounds in a bowl, add the sugar and mix well. Add coconut or hazelnut oil and mix. Add vanilla essential oil and whipped cream and gently mix in. That’s it, your gorgeous-smelling Macchiato body scrub is ready. Scrub your whole body, especially the dry parts (elbows, heels, knees). In the end, rinse the scrub off and use some mild shower gel. After using this scrub, your skin will be smooth and silky, fresh and firmer looking. The scrub deeply nurtures the skin, regenerates and rejuvenates it. Prepare it every time you want to do something special for yourself and follow it with this Whipped Body Butter. Caffeine is one of the best things for dealing with cellulite. You’ll hardly find an anti-cellulite cream that doesn’t contain it. It detoxifies the skin, improves microcirculation and metabolism and helps to tighten the skin. Cellulite and stretch marks kind of go hand in hand. That is why sugar is a part of this DIY coffee scrub. Stretch marks mostly appear because of the loss of collagen, so sugar is a perfect solution since it increases collagen production. The next thing you need is a highly nurturing oil, since the skin covered with cellulite, and especially stretch marks, is often neglected and needs all the help it can get in order to regenerate itself and restore its former quality. Quality oil will also help in soothing potential irritations a harsh scrub can cause, plus it will dilute essential oils, which should never go to your skin pure. Grapefruit and rosemary essential oils will help you to to eliminate toxins and speed up circulation. Massage is one of the most effective treatments for cellulite, so make sure to take your time and thoroughly massage the scrub into the skin. Mix all the ingredients well together. Massage the scrub into your skin for 10 – 15 minutes. Wash it off and finish with an anti-cellulite cream. Consistency and persistence are essential; cellulite didn’t appear overnight and it won’t go away that easily either. But this anti-cellulite DIY coffee scrub will make your skin super silky and smooth and the cellulite will be less visible in the beginning, before it starts to really retreat.